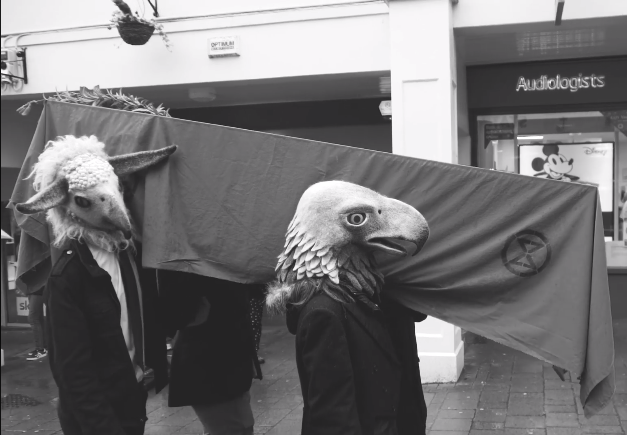 Last weekend Frome people took to the streets to bring awareness to the environmental emergency, by holding a symbolic funeral for extinct species. 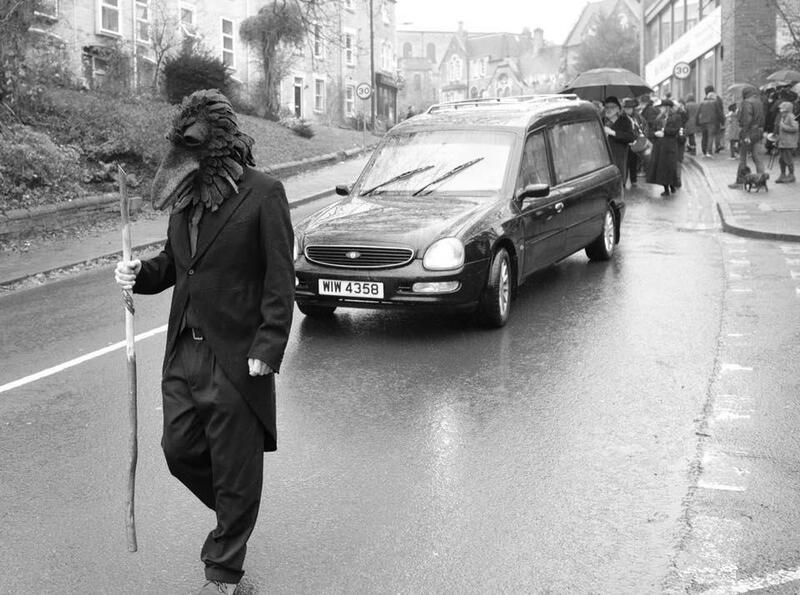 Approximately 200 people joined the procession from Rook Lane Chapel to the library, led by funeral director, Kevin Jones, and the Frome Street Bandits playing a mournful funeral march. 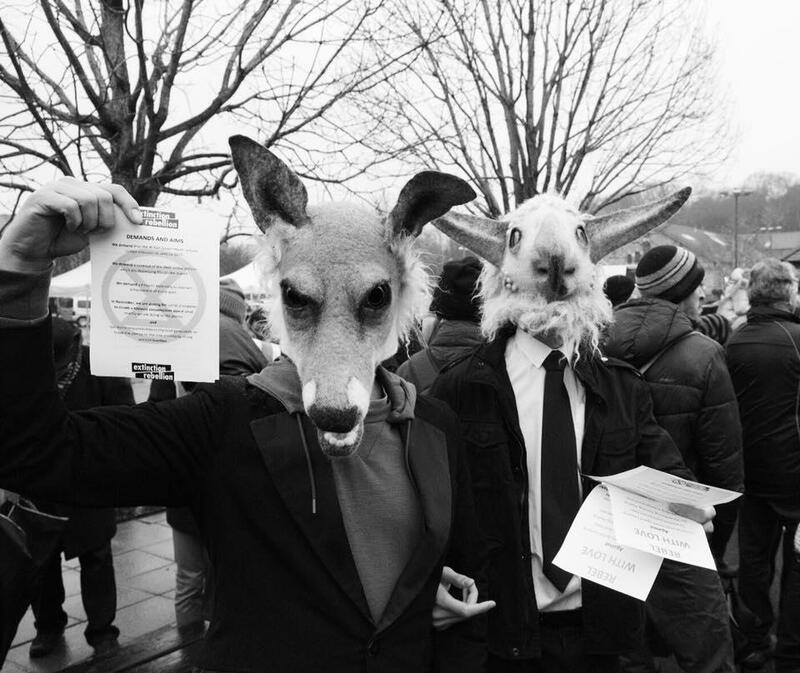 Symbolic pall bearers wearing felt animal masks made by local artist, Gladys Paulus, carried a coffin draped with the Extinction Rebellion logo. People came from as far away as Manchester and Birmingham to participate and bring awareness to the fact that we are in the sixth mass extinction and that 60% of wildlife species have been wiped off the earth since 1970 due to widespread use of pesticides, habitat destruction, mass deforestation and pollution to waterways. Recent reports indicate within two years the warming of our climate will reach a point, after which a 2°C rise in global temperature will be inevitable. Two degrees is enough to cause climate chaos, food shortages, and further extinction. Extinction Rebellion is campaigning globally to make governments take action and Frome locals have played a significant part in the national campaign, with one local mum being arrested at the large London protest.